Human Rights Watch presented a report entitled “‘Until the Very End’: Politically Motivated Imprisonment in Uzbekistan” in Warsaw, Poland. The 121-page document is based on 150 in-depth interviews with the relatives of political prisoners, their lawyers, human rights activists and former Uzbek officials. The report author Steve Swedrlow of HRW told Fergana the compilation of the report in question took six years. How did you encourage the relatives to speak up? Are they still hopeful or did they actually lose any hope, given the fact they agreed to be interviewed? Aygul Bekjan, the daughter of the imprisoned journalist and oppositionist Muhammad Bekjan, joined the HRW news conference in Warsaw. The Uzbek secret services abducted Mr. Bekjan, then chief editor of the Erk [Freedom] newspaper, in Ukraine and charged him with involvement in the February 1999 bombings in Tashkent. Mr. Bekjan denied all of the charges. He was subjected to brutal torture during investigation, and was convicted to 15 years of imprisonment in August of the same year. In 203, Mr. Bekjan’s imprisonment term was shortened as part of amnesty and he was to be released in February 2012. However, in January 2012, he was imprisoned for another five years for “disobeying lawful demands of the administration” of the prison. The application of Article 221 of the Uzbek Crime Code, as in Mr. Bekjan’s case above, is quite regularly used almost immediately before the official release date. Article 221 is especially “applicable” in cases of those inmates, whom the authorities do not want to see free. For example, Murad Jurayev’s terms is frequently extended by this method since his conviction in 1994. In 2009, additional 3 years and 4 months were added to his imprisonment term for “cleaning carrots in a wrong way” in the prison kitchen. Aygul, when have you or your mother last talked with your father? We are three sisters and none of us has seen our father in 15 years since his imprisonment. We are now U.S. citizens but my mother retained her Ukrainian citizenship to be able to visit Uzbekistan to see him. The last time she was there two years ago. I tried traveling there several times, but they refused to issue me a visa. Why does your mother have Ukrainian citizenship? She is Ukrainian. When we fled Uzbekistan for Ukraine, she still had her old Soviet passport and my mother was able to get Ukrainian citizenship. We lived there for five years until my father was abducted. So your mother saw your father two years ago? Yes. She was unable to recognize him. Yet, he was looking a little better than those times when additional five years were added [to his imprisonment term]. He weighed 60 kilograms while his height is 183 centimeters as if he was in a concentration camp. He suffers from inguinal hernia and yet he is forced to work in a brick factory. My father also has problems with his liver, and he had tuberculosis. My mother says the situation is very tense and it is impossible to fight tears when you look at him. Do you know why those five years were added to his term? What was that alleged “disobedience to the administration’s demands”? Nobody knows [the reason] for certain. We requested [they provide information in this regard], but they did not respond. But I do know that they come up with trivial excuses: he put a white T-shirt on or he cleaned carrots in a wrong way… I think my father did something petty like that as well – he had a wrong instrument to clip his nails, I think. How do you receive information from him? Through his relatives. (Muhammad Bekjan is the brother of Muhammad Salih, the oppositionist leader of the O’zbekiston Xalq Harakati [The Popular Movement of Uzbekistan], who is currently based in Turkey – editors.) My father’s two brothers and their children live there [in Uzbekistan; both of the brothers mentioned have also served prison terms and are currently released – editors.] When my mother goes there, she takes our letters for him, but I don’t know if he actually receives them, because sometimes the prison administration decides to withhold some letters. Sometimes, very seldom, he is able to send us notes. His notes are brief, and he mentions almost nothing about his health, because he knows those notes wouldn’t leave the prison if he wrote about it. My mother is currently in Uzbekistan and she may be able to visit him on September 29. We are awaiting news. Are you not afraid that she would not be allowed to see him, given your participation in the presentation of a report on political prisoners [in Uzbekistan]? I am indeed very concerned about that. But, at the same time, I am also hopeful that this could actually help. We were frightened all these years into keeping our mouths shut and demanded to do just that in order to avoid making things worse. But given that my father’s [imprisonment] term was extended by five more years right on the eve of his release, we don’t even know what can actually get worse. I am appealing to international organizations and tell them our family’s story. I tell that we are a family that once was a happy family. And I am very hopeful that my father will be released and will live with us in the USA. Muhammad Bekjanov is only one of thousands of real or perceived opponents to the government and critics of authorities that the Uzbek government has been sending behind bars since early 1990s based on political motives, the HRW report reads in part. There are representatives of various categories of people among the victims of repressions, including human rights advocates, journalists, political opposition activists, religious leaders and believers, artists, businessmen and others, who were deprived of freedom for only peacefully exercising their right to freely express their opinion and for being considered “the enemy of state” by the Uzbek government. Human right advocates emphasize that there are thousands of political prisoners in Uzbekistan. The report “Until the very end” tells about and provides documented specific stories of 34 individuals, who are currently incarcerated for political reasons; some of them, e.g. Murod Jurayev, have been imprisoned for over 20 years. Among them are 15 human rights advocates: Azam Farmonov, Mekhriniso Khamdamova, Zulkhumor Khamdamova, Isroil Kholdorov, Nozim Isakov, Gaybullo Jalilov, Nuriddin Jumaniyazov, Matluba Kamilova, Ganikhon Mamatkhanov, Chuyan Mamatkulov, Zafarjon Rakhimov, Yuldash Rasulov, Bobomurod Razzokov, Fakhriddin Tillayev, and Agzam Turgunov. There are five journalists: Solijon Abdurakhmanov, Muhammad Bekjanov, Gayrat Mikhliboyev, Yusuf Ruzimuradov, and Dilmurad Saidov. There are four oppositionists: Murod Jurayev, Samandar Kukanov, Kudratbek Rasulov, and Rustam Usmanov. There are three independent religious personalities: Rukhiddin Fakhriddinov, Khayrullo Khamidov, and Akram Yuldashev. 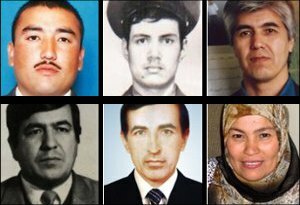 There are seven more people reported about: the Uzbek government considers them to be critics of authorities and eyewitnesses of the massacre in Andijan on 13 May 2005: Dilorom Abdukodirova, Botirbek Eshkuziyev, Bakhrom Ibragimov, Davron Kabilov, Erkin Musayev, Davron Tojiyev, and Ravshanbek Vafoyev. “The cases here do not constitute an exhaustive list of all persons convicted on politically motivated charges in Uzbekistan, nor is their selection meant to privilege some cases over others. Instead, these 34 prisoners, who come from every region of the country, shed light on larger trends of political repression in Uzbekistan and on the government’s attempt to suppress a wide range of independent activity that occurs beyond strict state control. At the same time, many cases illustrate the remarkable talent, creativity, and contributions of Uzbekistan’s independent civil society to the country’s civic development, as well as the immense loss that is caused by their continuing imprisonment,” the HRW report reads in part. - at least one convict was forced into incommunicado state: the authorities have been providing no reports about his whereabouts or condition for so long that it is unknown whether he is alive or dead. “You are demanding the Uzbek government immediately release political prisoners and no conditions be attached,” we inquire from the report author Steve Swerdlow. “But the Uzbek government has repeatedly stated that there are no political prisoners there and that all of them are imprisoned for committing specific criminal or economic crimes. What mechanism are you proposing to break this vicious circle? Reconsidering the cases of each convict who was noticed in political events, human rights advocacy and criticism of authorities before imprisonment? Reconsidering the cases of each convict whose prison term was extended for disobeying the prison administrations? Compiling specific lists of those who are to be immediately released? First, as far as the 34 inmates reported are concerned, we are calling for their immediate release and believe that no mechanism is necessary here: the Uzbek side has all facts necessary to confirm the necessity in their immediate release. We understand the problem: How to fight the practice of politically motivated imprisonment implemented in Uzbekistan? We have collected enough information to arrive at the following conclusion: the system that imprisoned these people does not function in accordance with the Constitution and international norms. The trials that were held [and resulted in the imprisonment of said inmates] many years ago do not meet international norms; therefore, these people are to be released in the first place. 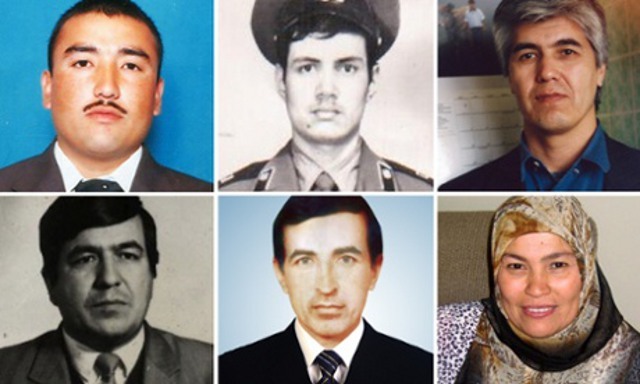 If the Uzbek side has grounds to think that any of these inmates committed an act of violence or was involved in acts of violence, then they must establish conditions for an objective investigation and then only speak of new judicial proceedings or new charges. We want the Uzbek government to seriously consider our statements and release all the 34 convicts. President Karimov can do that instantly, if he wishes to do so. And we think that Europe, the USA and other partners of Uzbekistan must openly state that in case the political prisoners are not immediately released, then [incompliance] would affect their ties with Tashkent.